A double bill for younger audiences and their families, exploring the incredible storytelling power of ordinary paper. The Park and The Paper Play take audiences on an adventure filled with wonder and laughter, with magic moments of playfulness and discovery. The change happens before your very eyes, don’t blink or you will miss it! Do try this at home! 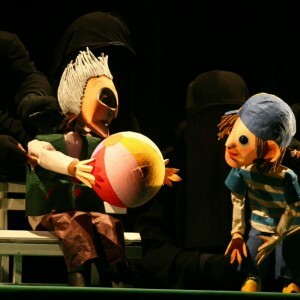 Puppet Beings Theatre are internationally acclaimed for their inventive and charming object theatre.